Last month former Tennessee Governor Phil Bredesen reversed course and stated he was indeed considering a run for the state’s U.S. Senate seat opening up due to the retirement of Bob Corker in 2018. 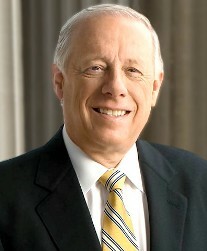 Bredesen, the last Democrat elected to statewide office in Tennessee (by 38.9 points over State Senator James Bryson to win a second term in 2006), left office in January 2011 as a popular two-term governor and is the party’s last and only reasonable hope to launch a competitive campaign for the office and is thus being strongly encouraged to run by many Democrats in the chamber. The path from Nashville to Washington, D.C. is not well-worn, with Alexander the only sitting or former governor from Tennessee (1979-1987) to win a U.S. Senate race in the direct election era (victorious in 2002, 2008, and 2014). And only a small handful of Democrats have even tried. Since the state’s first U.S. Senate primary more than a century ago, just three ex- or sitting Democratic governors made bids for the nation’s upper legislative chamber. [A total of 13 Democrats won 28 of the 36 gubernatorial elections held in the state during this span]. Former two-term Governor Malcolm Patterson (1907-1911) was the first, running in the 1915 Democratic primary held one full year before the general election. [It was also the only U.S. Senate primary in state history that featured a run-off between the top two candidates – held one month later in December 1915]. Patterson and U.S. Representative Kenneth McKellar eliminated incumbent Senator Luke Lea and one other candidate in the primary with McKellar winning the run-off in December. More than 40 years later, a second ex-Democratic governor would seek a U.S. Senate seat – Prentice Cooper. Cooper ran the state for three terms (1939-1945) but had been out of elected office for more than a decade, serving as U.S. Ambassador to Peru under Harry Truman in the late 1940s. In the 1958 Democratic primary, Cooper challenged one-term Senator Al Gore, Sr. but lost to the incumbent by 19.2 points in a three-candidate field. The third and last Democratic governor to run for the U.S. Senate was Frank Clement, who served three interrupted terms as governor (1953-1959, 1963-1967) and made two bids for the chamber in the mid-1960s. In 1964’s special election caused by the death of Estes Kefauver, Governor Clement lost the Democratic primary by 14.9 points to Congressman Ross Bass who went on to win the seat. Two years later, at the end of his third gubernatorial term, Clement defeated Senator Bass by 2.4 points in the primary but lost the general election to attorney and 1964 GOP nominee Howard Baker by 11.4 points – marking the first electoral win in a U.S. Senate election by a Tennessee Republican since Reconstruction. Overall, ex- and sitting Democratic governors have run for the U.S. Senate in just four of the 39 contests held in Tennessee since 1916. Unlike Patterson, Cooper, and Clement, however, Bredesen will not have to worry about facing an experienced political opponent in the Democratic primary. Despite his popularity among the electorate more than a half decade ago, the challenge for Bredesen to defeat the GOP nominee is substantial. Tennessee Republicans have won nine consecutive U.S. Senate races dating back to 1994 – tied for the party’s eighth largest current winning streak for the office in the nation. Bredesen would also be historically quite old: if elected, the former governor would be 75 years, 1 month, and 14 days on the first day of the 116th Congress. That would make him the 14th oldest first term Senator in the history of the chamber, the fifth oldest to win a first term via an election, the second oldest to enter via election since the passage of the 17th Amendment, and the oldest to enter via direct election for a full term. Other Tennessee governors who later won U.S. Senate seats are Whig James Jones (1841-1845) in 1850 and Republican William Brownlow (1865-1869) in 1868. Benjamin Hooper, one of the few Tennessee Republicans elected governor in the state (1911-1915) ran two unsuccessful campaigns for the U.S. Senate – losing the general elections of 1916 and 1934 (both to Kenneth McKellar). 2 Comments on "Will Phil Bredesen Roll the Dice and Run for US Senate?" Even with Bredesen as the Senate standardbearer for the Ds, they may have a better chance at winning the governorship – provided that the naysayer streak (which is active in NJ and reactivated in VA) is not broken. He also would seem more likely to stand for the federal election next year if Doug Jones from next-door AL were to win against embattled (and recently disowned, by the national party) R nominee, plus any (rightleaning but not accused of pedophilia) write-in aspirant(s) in less than a month. Of course, he still might step forward even if the official R contender (still vocally supported by the state party) wins. If both Phil Bredesen and Rick Scott (R-FL) win (which is very unlikely), then the tiebreaker between the two for seniority would be how long they served as governor. Scott (if he stays on as governor until January 3) would barely beat out Bredesen, with 2,921 days to Bredesen’s 2,919 days.